America’s Best Inoculant® for Soybeans is a triple stack Rhizobia strain package for top yield responses for only pennies per acre. Available in Sterile Liquid 10 liter, Sterile Liquid 3.1 liter and Sterile Peat. Use with Plus 30 Extender to extend the planting window up to 30 days. America’s Best Inoculant® for Soybeans, made in the USA, was developed by the leading authority of soybean inoculants and made with a unique blend of effective Rhizobia strains that allow for performance under a wide variety of soils. America’s Best Inoculant® has been found in recent replicated trials to be adaptable to many different types of soils and soil compounds. 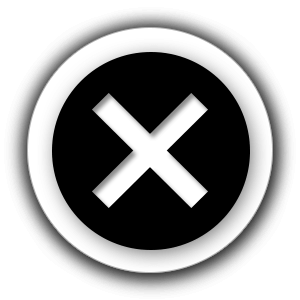 Our product will work with the proper handling, application and conditions. America’s Best Inoculant® has been shown to be a beneficial seed treatment in soybeans, peanuts, and peas/lentils. America’s Best Inoculant® for Soybeans contains a triple stack Rhizobia strain package for top yield responses. This strain package was developed by the best minds in Rhizobium genetics and is backed by research and scientifically proven test plot results. America’s Best Inoculant® for Soybeans is adaptable to multiple soil types and conditions. Application of this soybean inoculant is fast and easy and is compatible with other seed treatments. Formulation of America’s Best Inoculant® is available in humus-based or non-gel liquid formulations. ABM™ is focused on providing products for all growers, America’s Best Inoculant® Soybeans contains NO GMO’s. America’s Best Inoculant® Soybeans has shown significant yield increases in soybeans in all planting conditions. While inoculants have previously been recommended for use only in certain planting situations such as sandy soil, soils under stress, early planting and in fields not part of a corn-soybean rotation, America’s Best Inoculant® for Soybeans should be used in all soybean planting situations. The peat-based form of America’s Best Inoculant® for Soybeans may be applied to seed using one of these three methods of application. Refer to the America’s Best Inoculant® for Soybeans label for specific rates and directions for use. Inoculating as you fill your planter. A proportional amount of inoculant can be manually or mechanically introduced to a flowing stream of seed and the process of the seed flowing will evenly disperse the inoculant on the seed. Sprinkle application. Moisten seed in planter box with 3 ounces of water per 50 lbs. of seed. (Sterile form does not require moistening of the seed.) Add one bag of America’s Best Inoculant® for Soybeans non-sterile inoculant per 2000 lbs. of seed, or one bag of sterile inoculant per 2500 lbs. seed, and mix until seed is completely covered. Please note: it is best to mix in 50 lb. increments. Slurry application (outside of planter box). Place contents of one bag into 5.5 pints of clean, cool, non-chlorinated water. Mix thoroughly. Then mix thoroughly with 1500 lbs. of soybean seed. (Please note: it is best to mix in 50 lb. increments.) For best performance, plant seed within 24 hours of application. The liquid form of America’s Best Inoculant® can be applied to seed using one of these three methods The liquid form can be applied and will not gel at temperatures above 40°F. Refer to the America’s Best Inoculant® for Soybeans label for specific rates and directions for use. Batch application. Measure the appropriate amount of America’s Best Inoculant® for Soybeans for the amount of seed being inoculated. Apply uniformly over the seed and stir until all seeds are coated. Plant seed immediately for optimal performance. Seed must be reinoculated if not planted within 3 days. Bulk and continuous application. Remove bag from box and attach applicator cap and tubing. Hang bag from loop on bag and apply to seed per instructions inside of box. In-furrow use. Only use America’s Best Inoculant® for Soybeans in spray tanks that have been cleaned and are free of all chemical residue. 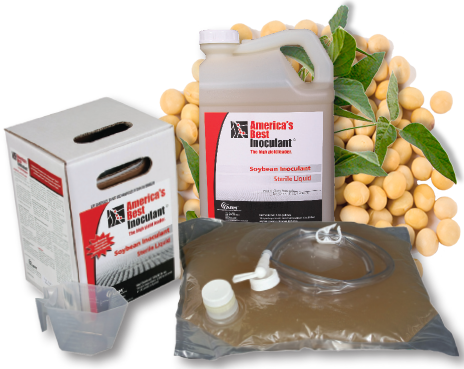 Dilute America’s Best Inoculant® for Soybeans in non-chlorinated water. Recommended rate of non-chlorinated water per acre is 10 to 20 gallons. The 105.82 oz. bladder of America’s Best Inoculant® for Soybeans will treat 12.5 acres.